Attics have a bad reputation for being cramped, dark and messy which may make your attic space the last place you want to move your bedroom into. If decorated and designed well, however, you can transform your cobweb-ridden attic into a cozy, comfortable and peaceful bedroom. If these rooms are designed and decorated properly in a technical and intelligent manner they too can turn into cozy, romantic and cute bedrooms as well. 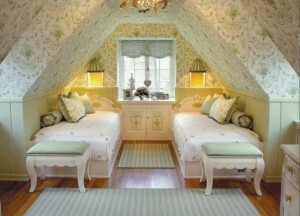 It’s time to renovate and renew your old attic bedroom to a charming, cute and sweet bedroom space. Attic spaces are not that bad they just need your helping hands and efforts to make them even more beautiful and sweet compared to other spaces of your home and interiors. Attic bedrooms if treated well and technically sound they may turn into the most desirable place to sit back and relax. 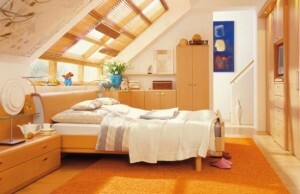 There are few things to be considered while helping your attic bedroom turn better or new. 1. Keep the walls of the room light in colors. After all it’s a small space and turning it too much into a darker shade will ruin its appearance and utilization. Dark colors tend to make spaces look smaller, but light colors can make a room appear larger and brighter. So, for a glowing and mess free attic bedroom always opt for light colors like white, light yellow, light green, light pink, light blue etc. 2. Make the slanted ceiling a lighter color than the rest of the room. A dark slanted ceiling can seem oppressive and may give the ceiling a “caving in” effect. Darker ceiling even may ruin up rest of the décor and design settings of the room by its bad appearance and negative impact. 3. Adding texture to the attic bedroom may not sound smart and intelligent. 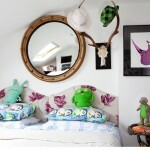 Texture can alter the ambiance of an attic bedroom and act as a subtle decoration in a room with limited space. Texture is a dominating element of design but to keep it away from the spaces which are already cramped and messy. 4. 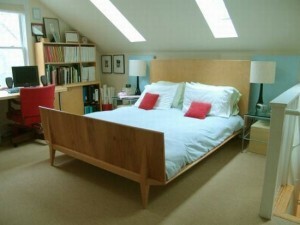 Use paneling of wood paneling will the room a special touch and feel. Paneling placed vertically will heighten the room, making it appear taller. 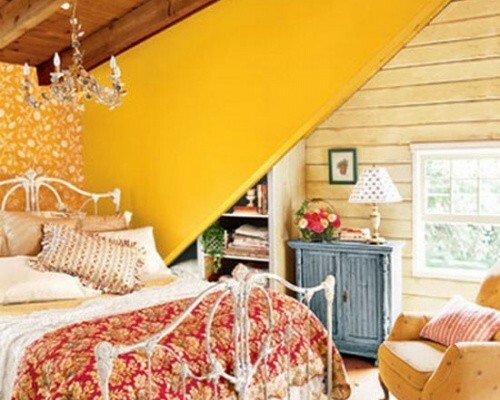 When placed horizontally, paneling can elongate or widen a room, which can be especially useful if the bedroom is located in a narrow attic space. 1. Keep your furniture to the minimum: Do not mess up the room with over loaded furniture on the floor area. 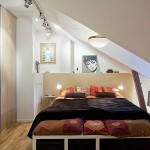 Attic spaces do struggle with less floor area. 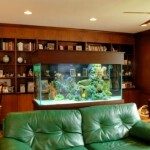 Let them breath fresh and light with minimum and essential furniture placement. 2. Create build-in storage space to cover up your storage problems. Let the big furniture pieces turn into multi-tasking and give you more of the storage space. 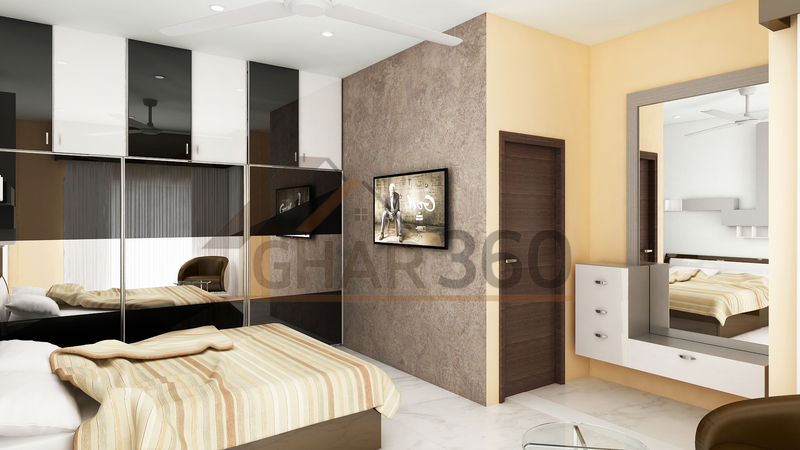 Furniture like bed storage boxes, floor to ceiling wardrobe storage, wall niches, etc. can help you out with this struggle. 3. Matching up of furniture colors to the wall colors. It creates more openness and spacey feeling to the room. 4. Use checkered plaid, floral, and other light prints to create a whimsical space. 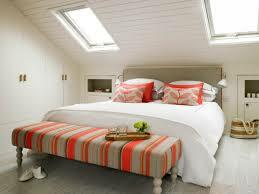 Avoid bold and huge patterns to occupy more of the attic space. Adding up few skylights windows, circular windows etc. add in more light to the room. A large casement window will offer even more light. Keeps the air circulating by installing a ceiling fan. Good circulation is especially important during the hot, humid summer months. Adding up few build in storage in architectural layout will help you more with better and well managed attic bedroom space. Basically, an attic bedroom when well managed with architectural layout, color concept, furniture placement, perfect installation of windows and doors for amazing circulation of light and air becomes one of the most cute and well managed bedrooms. No space is a waste ever just give it a special touch of your imagination and designing abilities to make an attic room the most worth it and adorable.